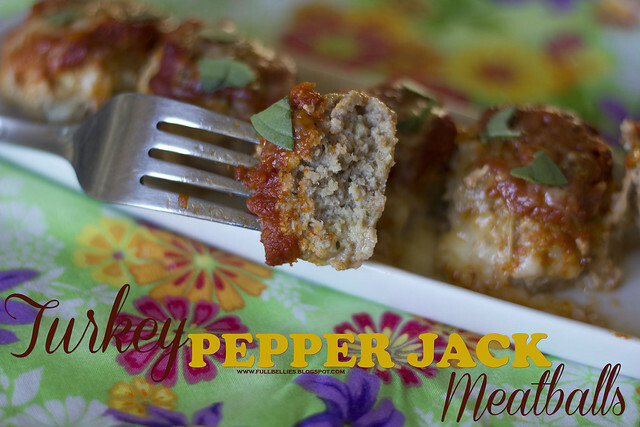 Here's another great meatball recipe, this time using ground turkey, pepper jack and some marinara sauce. I know that anytime I make meatballs, there are never any leftover. It has to be one of the family's favorites. I knew I wanted to make them but I didn't necessarily want the usual spaghetti and tomato sauce and since I had a jar of marinara in the pantry and some ground turkey in the freezer, I decided to go with that. 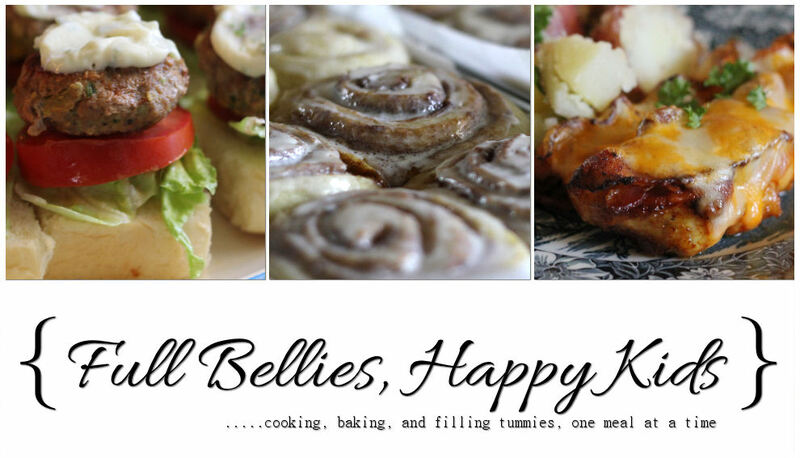 These were so delicious, I'll have to make them again soon. 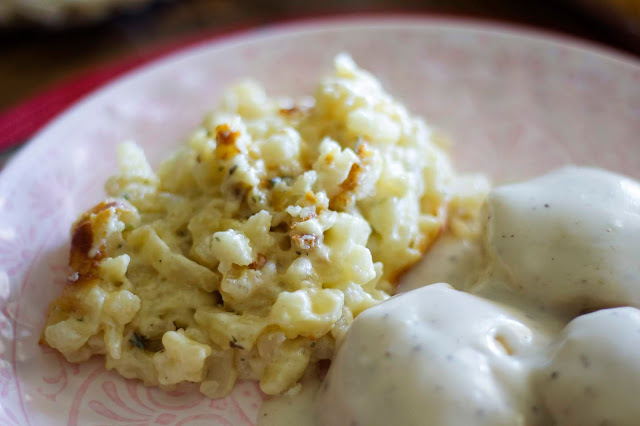 In a bowl, combine turkey, onion, garlic, salt and pepper, breadcrumbs, eggs, oregano and the shredded pepper jack cheese. 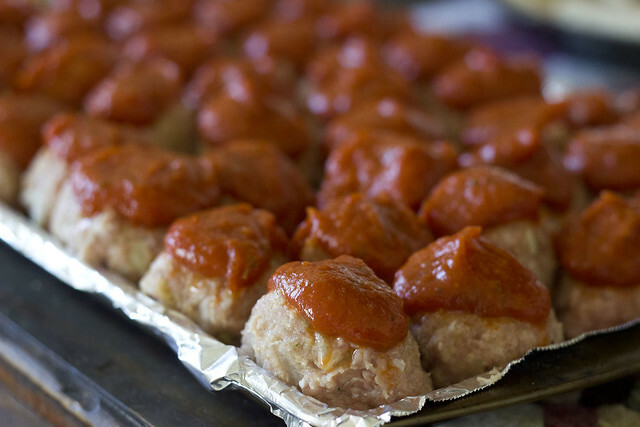 Mix well, shape into small meatballs and place on a baking sheet. Top with a tablespoon of marinara sauce. Bake at 400 degrees for about 30 minutes or until cooked through. Remove from oven. 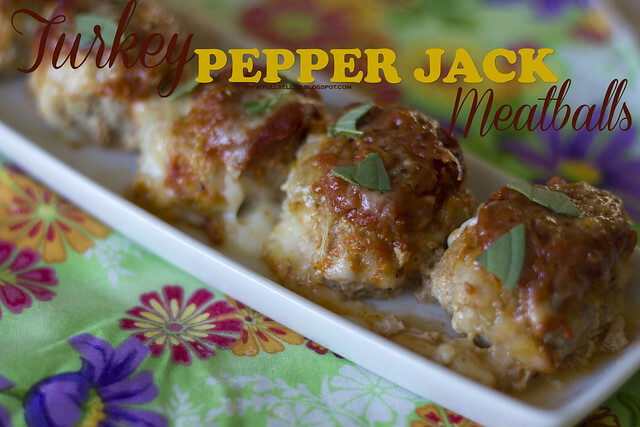 Cut a slice of pepper jack cheese into 4 pieces, and top each meatball with one of the little pieces of cheese. Pop under the broiler for a few minutes until melted. Enjoy! Oh yum! 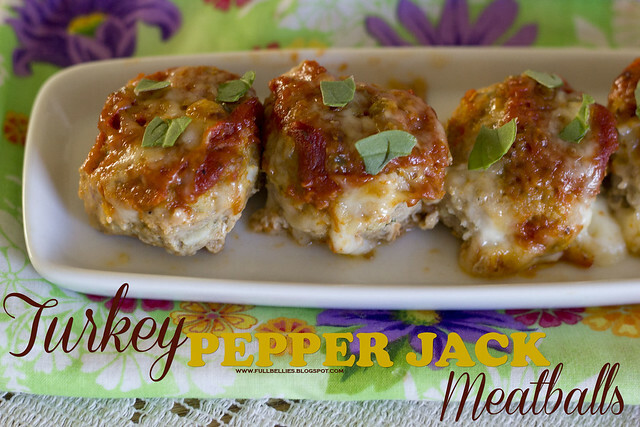 My family loves meatballs and pepper jack, but they don't care for ground turkey. I wonder if they would even notice it under the sauce and cheese? Looks great to me!